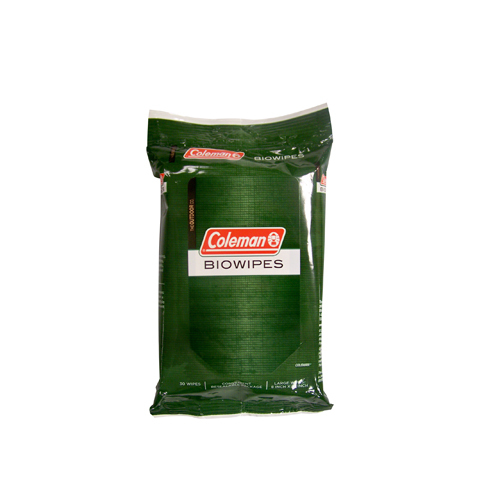 Freshen up, even when you're roughing it, with Coleman Bio Wipes. Each package contains 30 pre-moistened, all-purpose wipes-perfect for wiping soiled hands, faces. The fragrance-free formula is gentle on sensitive skin, and each large, 8 in. x 11 in. wipe is compostable. Wipes come in a resealable package to prevent them from drying out after repeated use. The small package fits inside backpacks, glove boxes and purses for use during outdoor explorations or everyday adventures.